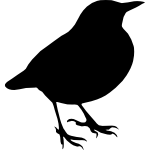 My Little Blackbird - The best stories and writing/marketing tips for authors. A brief list of the books I added to my library that I believe are being (or will be) influential to my writing. Each described by what I found or what I believe I will find inside them. In this post I use Marvel’s character “The Sentry” ad an example of how to write a story where the protagonist is an all powerful character. The set of my goals for 2017 – writing goals and more. Am I going to complete my first draft? How? More on this in the content. Four of my favourite tools I use to schedule all my content on social media and to make sure it always reaches my target audience. “The right thing” is the fourth and final story of this sequence. The story of Mr. Morris and the love for his wife and newborn son. My review of Dark Souls and its peculiar way of narrating stories. Come to read about what I consider the best implementation of an interactive narrative.